I was born in Taunton, Massachusetts on June 1, 1917, but I actually grew up in nearby New Bedford. My family background was heavily slanted toward business and seafaring matters. I can’t think of any relatives that ever went into science. My family gave me the best in education. To my father, business was the highest calling, but to my mother, medicine was the top profession. She would probably have gone to medical school if she had been born in a more enlightened era. I went to boarding school at Berkshire in western Massachusetts, definitely the most beautiful part of the state. I’ll never forget the fall colors on the Berkshires. In those days I was terrible at athletics and never made a team, but quite easily led my class in academics. I was particularly good at math and science. I also got a good lesson in New England thrift. To get free ice for our physics experiments we had to wait until it snowed. On graduating, I was easily admitted to Harvard. In that era all one had to do was pass the College Board exams. If any one in my family went to college that was where he went. My father spent a year there and quit to go into the textile business. At this point I was strongly advised that I was too young socially to go to college so I took a second senior year at Andover, another boarding school. At that time many students did this. At Andover I took my first chemistry course from a teacher named Bushy Graham and was fascinated by the subject. I remember him trying to explain Avagadro’s number and his discussion of the dangers of hydrogen and oxygen. At the end of the year, I took a competitive exam and won my first prize, the $50 Boylston prize in chemistry. That summer I took a cruise on a 75-foot schooner with no engine, sailing from Gloucester, Massachusetts to Norway. We sailed around the Baltic ending up at Stockholm. I didn’t think of it at the time, but we spent most of three weeks on the north Atlantic with no contact at all with the outside world. Today one is always in touch with home base even if you go to the South Pole or the Moon. Memories of this sailing trip have always been vivid. On one instance we were mistakenly arrested in Tallin, Estonia and got a ride in the paddy wagon. Later we were released without comment. 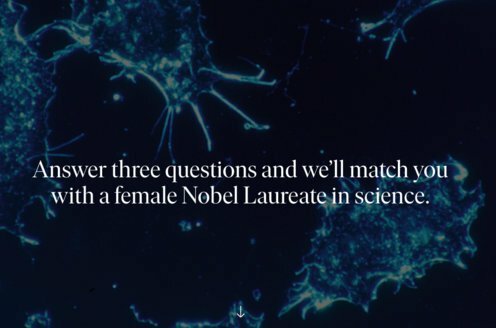 Little did I think that one day years later I would be returning to Stockholm to share the Nobel Prize in Chemistry. At Harvard I majored in chemistry with a strong inclination toward math. I took the minimum of humanities. I was told I’d be a natural for physical chemistry but taking organic with Louis Fieser changed my mind. It was there I got my introduction to optical isomerism and the tetrahedral carbon atom. At Harvard competition was fierce and I always got a solid B, but not the straight A’s of many of my class mates. These were the days when most got a gentleman’s C.
On graduating in 1939 I was strongly advised to go elsewhere to graduate school. I went to Columbia with Professor Elderfield and worked on making simple analogs of the cardiac aglucones. These were tested at Eli Lilly for cardiac activity. Bob Elderfield was at his best when he talked steroids when he was at Rockefeller Institute. Paralleling Nobel’s experience I too had an explosion. Mine came when distilling diazomethane. No one was hurt, but a bottle of intermediate that I had labored on for months was destroyed. In those days Professor Elderfield spent a lot of time away on the anti-malarial project in the military, and we were on our own a lot. Professor Nelson Leonard, long at the University of Illinois in Champagne, was in our research group. Later he consulted at Monsanto. New York was an exciting place to be in those war years and my draft board forced Columbia to push me out sooner than would ordinarily happen. In those days industry would hire any chemist that could breathe. In 1942, I started in Dayton, Ohio at the Thomas and Hochwalt laboratories, which had recently joined Monsanto. Most of my assignments were pretty mundane, like making super pure hexamethylenetetramine to be used for making the explosive cyclonite. In 1944, I was transferred to St. Louis to work on plasticizers and intermediates. We did make a lot of benzyl benzoate as a mite repellant for soldiers clothing. We later had a DDT project which never got into production until the war was over. More interesting, we had a synthetic process for vanillin but lost out to lignin as a way to get that desirable molecule. In those days we did get involved with the custom manufacture of the antibiotic chloramphenicol and made 10-15000 lbs. before it was taken off the market because a very small percentage of patients developed aplastic anemia. At the time my dog had a fungus on her chest that wouldn’t heal and resisted treatment. I made an ointment with our product and it cleared up in two days. She lived to 17 years. Shortly after the war the discovery that cortisone might become a large volume pharmaceutical caused Monsanto to engage Professor Woodward with the hope of commercializing his synthetic approach. I was selected to join this effort since I had a steroid background. Actually I got to spend nine months in his lab at Cambridge on this total synthesis. The experience working with the “great man” is one I’ll never forget. For the first three months in his lab he would come in at noon and say, “Let’s go to Schrafts.” We would spend an hour or more scribbling chemical structures on the menu or placemats. His phenomenal memory was beyond anything I’d ever seen. In those days he never kept a file or wrote a reference. He’d just say look on page so and so in Beilstein and you’ll find something on that. He lost some of this ability as he grew older and it bothered him. He really hoped Monsanto would commercialize his steroid synthesis, but the Mexican yam with its high content of diosgenin eventually killed our effort. Our program for cortisone got fairly well along. We made a few milligrams of racemic cortisone and we had resolved an early intermediate which we intended to carry through to the real thing. It was made too complex to compete with the lowly yam. Later in the fifties I got involved in kinetic studies using my long forgotten math background. These studies led to improvements in several of our processes by doubling production with little or no additional capital. In those days, industry was hungry for chemicals and much effort was spent to get more out in the same equipment. Monsanto had developed a separate line of advancement for those who wished to stay in technology and I rose to the top of that ladder before I even thought of asymmetric hydrogenations. I was one who liked to work with my hands as well as my brain. Chemical research in the lab was ideal for filling this need. The work on the asymmetric project, which started in the mid-sixties, is the subject of my lecture. Obviously, I kept active in this area until I retired in 1986, and continued in a consulting capacity for several years after. On the home front we had purchased a cabin in Jackson Hole, Wyoming 25 years ago and have spent summers and some winter skiing time there ever since. It is there that our four children and four grand children often meet. On several occasions, Professor Kagan has visited us there and we’ve been able to talk asymmetric hydrogenations. I have always loved doing things outdoors, including fly-fishing, hiking and biking. When things are going wrong I find splitting wood quite therapeutic. I received a number of awards for our work. 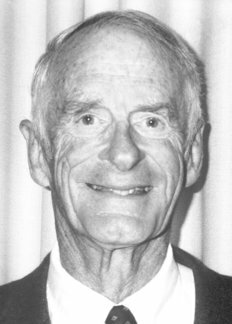 William S. Knowles died on 13 June 2012.